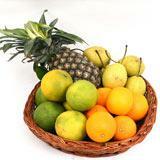 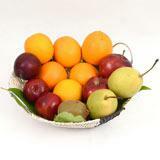 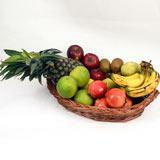 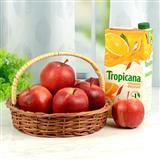 Gift this fruit basket which comes with 1 Kg Orange, 1/2 Kg Apple, 1/2 Kg Pear, 250 gms Kiwi, 1/2 Kg Plum, 1/2 Kg Pomegranate. 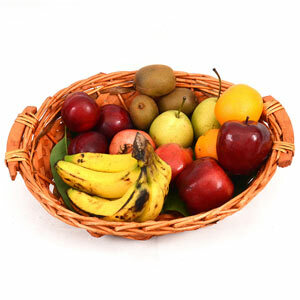 This fruit basket would definitely make a great Gifts across India for your loved ones on any festival when people keep fast and with a Get Well soon message if one is unwell. 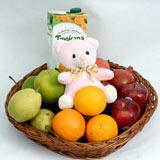 Send gifts through GiftsAcrossIndia.com and bring that charming smile on your loved ones faces in all cities in India.